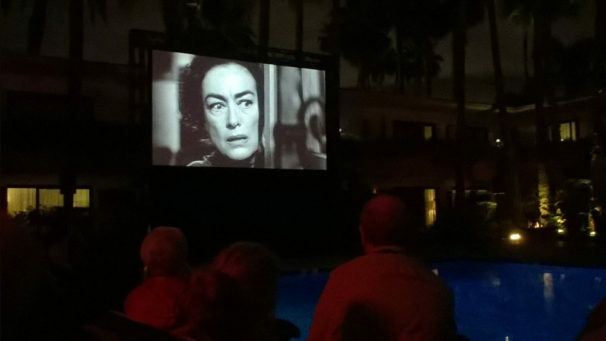 Tags: bette davis · joan crawford · robert aldrich · tcm classic film festival · tcm fest 2017 · whatever happened to baby jane? 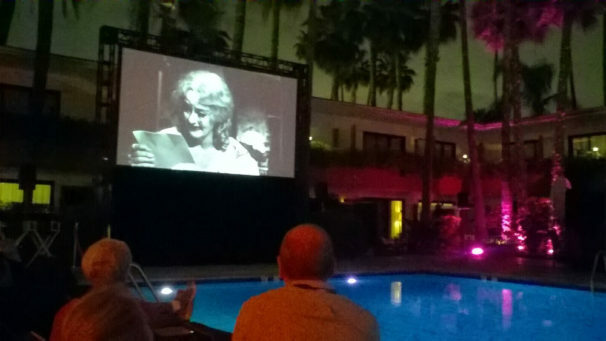 The highlight of our first day of this, our eighth TCM Turner Classic Film Festival, was hands down WHATEVER HAPPENED TO BABY JANE? 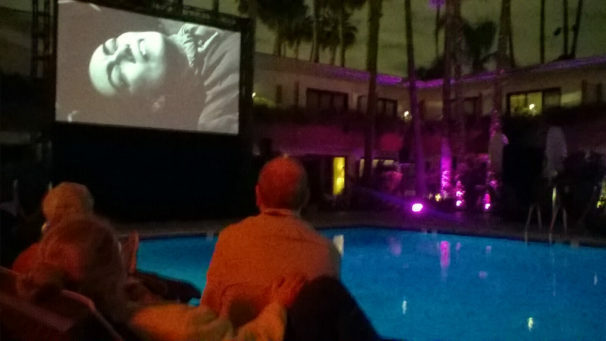 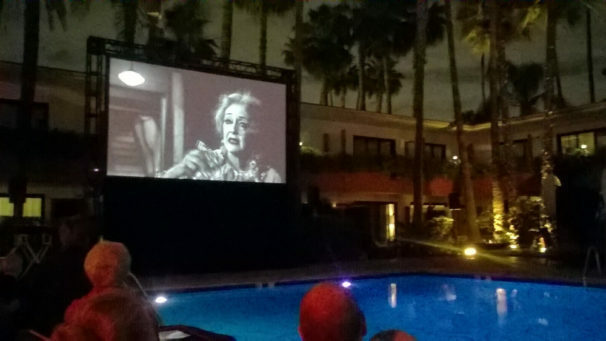 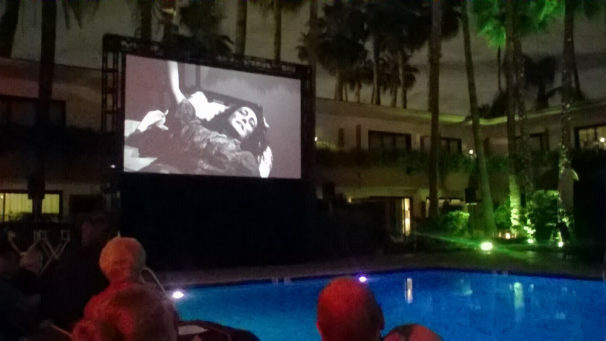 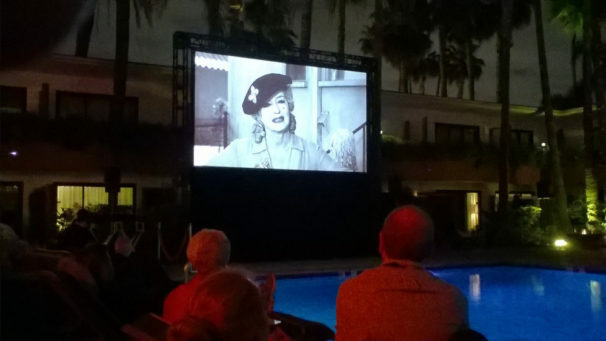 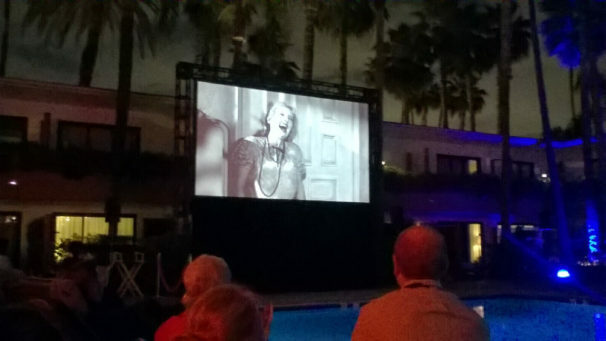 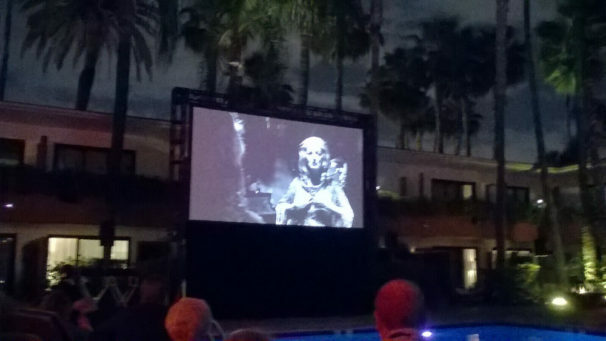 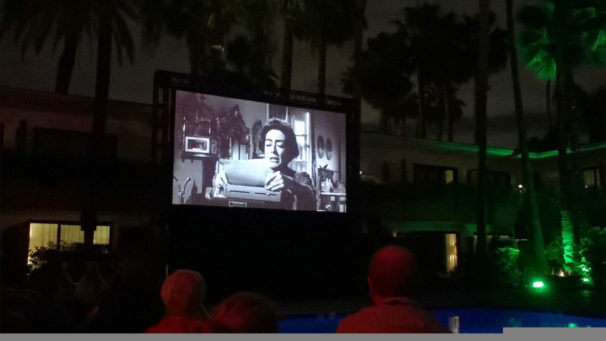 (1964) screened poolside of the Hollywood Roosevelt Hotel. 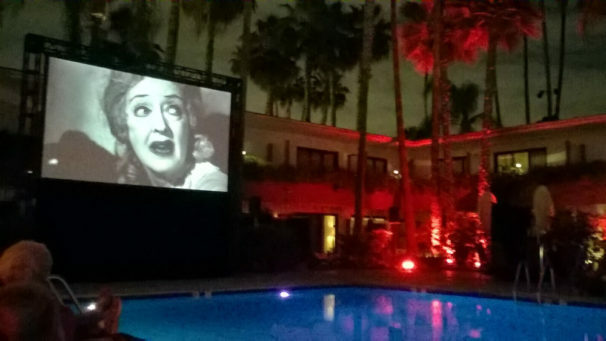 We so enjoyed viewing the Gothic horror movie so smartly directed by Robert Aldrich and graced by the outre performance of Bette Davis and a comparatively controlled one by Joan Crawford. 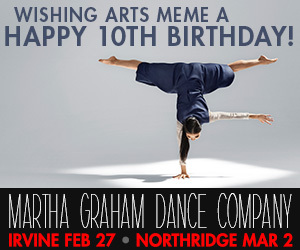 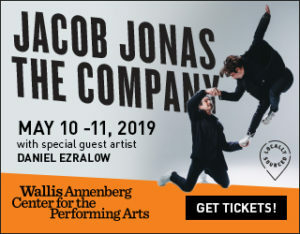 newerSouthern Californialand, here we come!